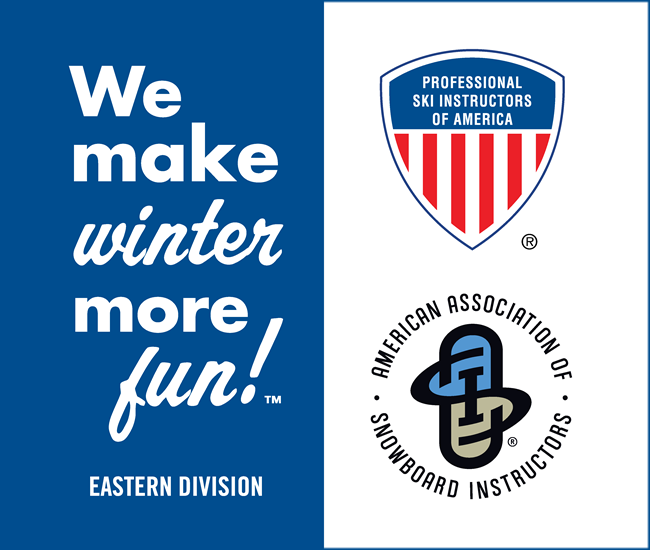 The PSIA-E/AASI Area Representative Program, started during the 1998-99 season under the leadership of Joan Heaton, is designed to improve the lines of communication between the membership and the PSIA-E/AASI office in Albany. 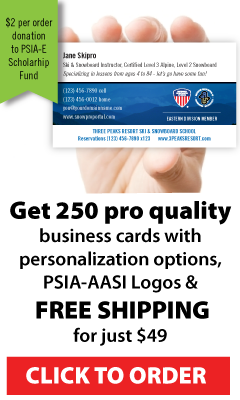 PSIA-E/AASI Area Representatives, appointed by the Snow Sports School Director, will receive most of the same mailings that the Snow Sports School Directors receives. This contact will enable each Area Rep to assist the Director in disseminating information coming from the PSIA-E/AASI office to the instructors in each school. Area Reps will field and also gather questions about PSIA from their staff members and can relay them on to the appropriate Chairpersons/ Coordinators for responses. Each mountain’s Area Rep will be in touch with the program’s Coordinator, Joan Heaton, and/or s/he can network with his/her regional Education/Certification Committee Representative and/or his/her Regional Director and/or Representative. In turn, these Regional leaders will network with chairpersons and/or coordinators in order to get the information given them to the appropriate leaders. Click here for more information on PSIA-E/AASI Regions. In Summary: The role of an Area Representative is to disseminate information from the PSIA-E/AASI office in a timely, prominent, and accurate way to fellow snow sports instructors. The Area Rep will also field and gather questions about PSIA-E/AASI from their staff members and relay that information to the appropriate Chairpersons/ Coordinators for responses. During, or at the end of each season, Area Representatives will be able to submit questions, ideas, suggestions, and recommendations received from fellow instructors to the Coordinator, who, in turn, will present a Summary of that information to the organization’s leaders. A source of up-to-date information about PSIA-E/AASI activities. A conduit for relaying questions, concerns, ideas, and suggestions to the Coordinator. The best resource for communicating or interpreting PSIA-E/AASI policies, procedures, or very specific event information. (E.g. Master Teacher Program). Call or e-mail the PSIA-E/AASI office for such information! Decision-makers. Area reps cannot make decisions in lieu of the Snow Sports School Director or the PSIA-E/AASI office. Find out who your PSIA-E/AASI Area Representative is in your school. If your school has not yet enrolled, see your Director and ask about the program. Offer to BE the Area Rep! Region 3 Mount Southington Snowsports School David A. Beckwith, Sr. Region 3 Otis Ridge Ski & Snowboard School Robert B. Crowle, Sr. Region 7 Canaan Valley Snowsports School Ray K. LaMora, Jr. If you have any questions that are not answered here, please contact the main office at (518) 452-6095, or e-mail us at psia-e@psia-e.org.